Search Butchers using nbtrade.com.au and access listings for Butchers Murwillumbah, Butchers Ballina, Butchers Coolangatta , Butchers Lismore, Butchers Tugan and all along the Gold Coast. For professional, reliable and experienced Butchers do not go past our Butchers Directory. Our online Butchers Directory provides a easy to use search tool so you don't have to stress let Nbtrade.com.au providers help you find exactly what you're looking for. For the best and local butchers near you, premium meats selected, cut, trim and prepared for sale or supply look no further then Nbtrade.com.au butchers directory. We specify only the most popular and trusted butchers in your local area. Personal service and great prices contact a butcher from our directory today. 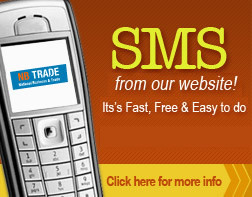 Email or SMS Straight from our Butchers Directory. Nbtrade.com.au provides all the information you need, from contact details to specialties helping you source Butchers of the highest quality of health standards and care. Local listings near you Butchers Casino, Butchers Kyogle, Butchers Yatala, Butchers Bray Park and more listings Nationwide.